Broward Real Estate: Venetian Isles Waterfront Home Just Listed! Amazing point lot home on the South Grand Canal in beautiful Lighthouse Point. 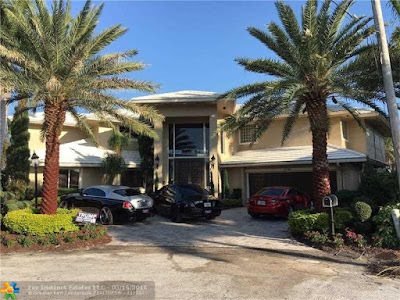 This home is located in the envious Venetian Isles with southeastern views of intercoastal canals just minutes to the ocean. There is one hundred and sixty feet' of brand new dock. All the doors and windows are high impact glass. The stunning wrap-around interior walkway surrounds a huge living area and connects the perfect master suite with the office and the additional guest rooms. The main floor has two additional beds and gym/playroom. The master suite has a balcony with long water views and fabulous master bath. The man-cave garage with aluminum/black accents and big generator. MUST BE SEEN! Just steps away from Fort Lauderdale’s world famous beach, The Galleria is within minutes of the airport, port, downtown, hotels and the Greater Fort Lauderdale Convention Center, with easy access from Sunrise Boulevard, U.S. Highway 1 (Federal Highway), Interstate 95, Interstate 595, and U.S. Highway A1A (Fort Lauderdale Beach Boulevard). Located at 2414 East Sunrise Boulevard., it is open from 10 a.m. to 9 p.m., Mon. through Sat. and 12 p.m. to 6 p.m. on Sun. Restaurants enjoy later hours.